Dirt! Bushes! Trees! Shade! Smellies in the air! Hills up! Hills down! Happy humans! Other happy dogs!! Hooray! Dogs know ‘em when they see ‘em – dirt trails. None of that sissy paved stuff, but good old-fashioned dirt. The earth. Raw material to scratch in, dig up, pee on and scuffle with. Hey – what’s that?! A dead thing!! YES!! Get it ON me. For the dogs out there who love the trail and the awesome owners who get them there, there are few places of greater happiness. On the other hand, if your dog is the kind that prefers riding in a large purse whilst mama whisks him between window shopping stops at Fashion Island, that’s cool too, but this might not be for you. Maybe I’ll write that post later. For now, this is for the dogs who keep their faces smashed to the windows as they get closer to the trailhead. This is for the dog who leads the pack up the trail and waits for his humans to catch up, because she knows, if she doesn’t stick with the pack all the time, maybe it’ll be a longer time between trail hikes. Here in Orange County, despite the ever-expanding growth, we are blessed with miles and miles of really good trails. Some of them are maintained by the county, some by their respective cities and a few by the federal government (see “Cleveland National Forest”). Most have names but there are plenty that don’t – the ones that snake between neighborhoods or up over a lonely hill and scratch on for a half mile before diving back into pavement somewhere. Those trails you get to make your up your own names for. A couple of weeks ago, I had a client ask where she could take her dogs for some off-pavement trail enjoyment… As I was thinking of ideas for her, I kept coming up with trails that wouldn’t allow dogs… took me a few minutes to come up with a few ideas for her and off she went… Since then, I’ve been thinking of writing this post so I could list all the good dog-friendly trails I could think. 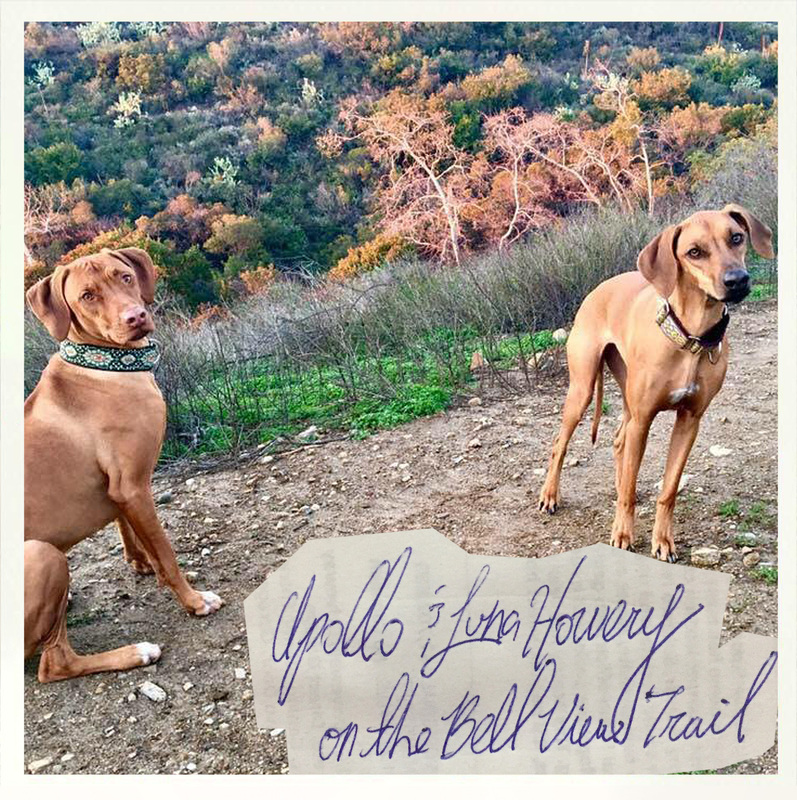 I asked people on FB to give me some ideas and share some photos of their dogs on the trail to add to my own and here’s what we came up with – I hope you enjoy! A short trail next to the Village that rises to the Sonriente and Bell View trails; perfect for a 30 minute outing. I listed this up under Rancho Santa Margarita, but to me, the Bell View really belongs under Coto de Caza. It runs the entire length of Coto from top to bottom and keeps going both ways; no other area has as much singular exposure to the Bell View. For people who live in Coto (a guard-gated neighborhood), there are three good trails to access the Bell View (Coyote Canyon, Niblick, Sunshine Boys’). This is one of those secret trails; parking is tough, there are no obvious markings… you’d probably just drive by… the trail meanders up a small canyon under a huge canopy of oaks which makes it a perfect place any time of year… at the eastern end of the trail, it connects with the Bell View. A climb straight up that connects with the Westridge Trail. Great views, some good shade along the way. The <shorter> twin sister of the Bell View Trail; runs on the westside of the length of Coto de Caza and has a couple of feeder trails – Tijeras Canyon and Sawgrass. A great trail with wide open vistas, plenty of elevation exchange along the way. Hardly any trees, though, so – hats and sunscreen. Last thing – I would be remiss not to sing the praises of the Coto de Caza master planners; the neighborhood is known as an equestrian neighborhood and the planners pretty much ringed the entire inner loop with a horse trail. That means ready packed dirt for running on just out your doorstep anywhere in Coto. Planners – Coto dogs salute you. Alright. I’m going to transgress and put ONE walkabout on here that doesn’t have dirt trails but does have ample spreads of grass. 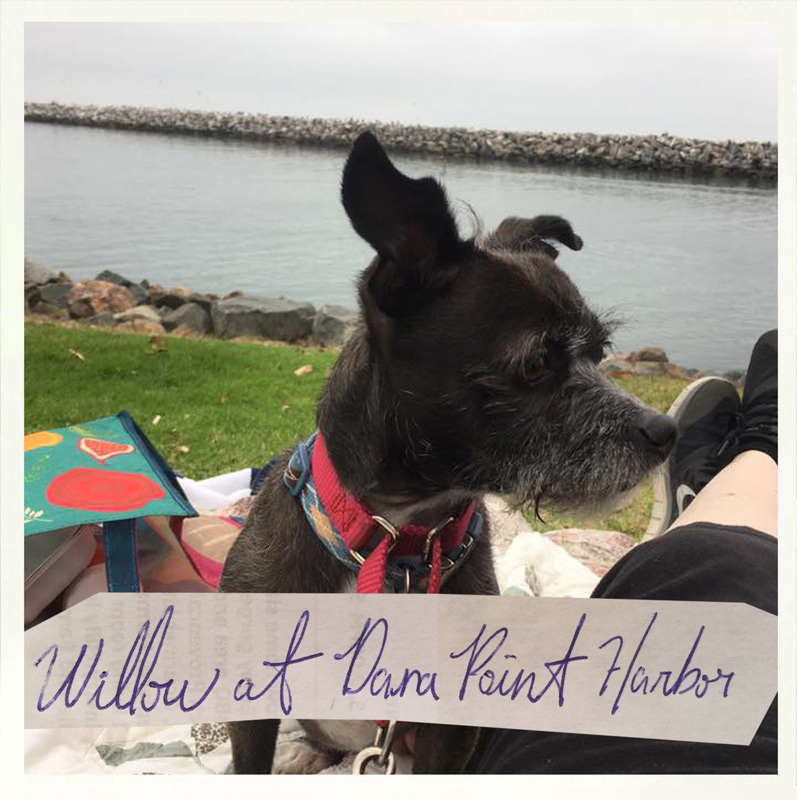 My bud, Debbie, said she takes her dog Willow to walk up and down the Harbor and because she was one of the first people to post on my FB req for ideas, she gets in. Thanks, Deb! Now go find some dirt! Single track trails through coastal grass and scrub; a friend sent this recommendation over. Thanks, Copek! Ah, yeah. The beach. Dog Beach really deserves its own post to talk about proper beach etiquette, water safety, etc, but we’re here so let’s hit it. The Jeffrey Open Space Trail is a relatively new trail that winds along Jeffrey Road in the northern area of Irvine, near the Woodbury, Eastwood and Stonegate neighborhoods… this is mostly a pedestrian experience and no one would classify it as wild nature, but it does have a lovely, well-maintained decomposed granite path that runs for a few miles – definitely a must if you live in that area. Good parking, bathrooms and picnic area at the trailhead. Quick access off the 405 fwy and Sand Canyon Road. An easy 2.4 miles trail that is open from dusk to dawn. Just an FYI – I like Irvine. It is well managed. They manage like no one else. Stick to the trail or else a docent will pop out of the scrub and procedurally wag a finger at you then escalate from there. OK. Maybe I went on the trail after a rain and there was a sign that said not to and I did. And a guy ran out (on the trail; – ironic, I know) to yell at me and take pictures of me and threaten me with tame civic actions that were meant to frighten me. Sorry. It was an open trail at dusk and the clouds were racing across the sky, the green grass was bent under the wind and a cold mystery blew through it all and. I just had to. Sometimes I just need to walk on dirt. And I wanted to go on it. I’m from Hawaii – one thing I know – when an enigma blows in the breeze, let it raise your hair and follow it. Much-loved, single-track treasures in Turtle Rock that offer fantastic views of the surrounding cities and Pacific towards Newport. Good anytime of the year! Trailheads are near Bonita Canyon Elementary and the intersection of Turtle Rock Dr/Concordia. This trail runs the length of Ladera on the western edge and overlooks the Arroyo Trabuco golf course. Park near Wagsdale Dog Park in Ladera and jump on one of the spurs to the trail there. This trail sweeps from the bottom of Ladera Ranch, comes around Covenant Hills and then heads north paralleling Antonio Parkway for a bit before turning into sidewalk at Covenant Hills Drive. From there, the sidewalk portion continues until O’Neill where you can cross Antonio to the east side. Drop down into the power substation area and pick up the dirt from there again to run the eastern ridge. Parking for this trail is easy on the south end of the trail off of Pacific Island Drive. Huge views of the Aliso Woods Canyon below, the Laguna Beach ridgetops across the canyon and the Pacific in the distance. A good ridgetop trail that runs parallel to Golden Lantern and ties into the San Juan Cap trail system nicely with a drop into the Peppertree Bend/Oso-Rancho Capistrano trails down the Shea trail. This trail runs side-by-side with a paved trail, so we’re not talking wilderness here, but it is an easy way to jump onto some rough earth in a jiffy. Plenty of parking at Chapparosa park. If you’re still heading to the beach on the trail, you can stay on Niguel Road for a bit and then jump back onto the dirt path that parallels the road for a bit more off-road adventure. Here is a link to a map of Laguna Niguel trails. 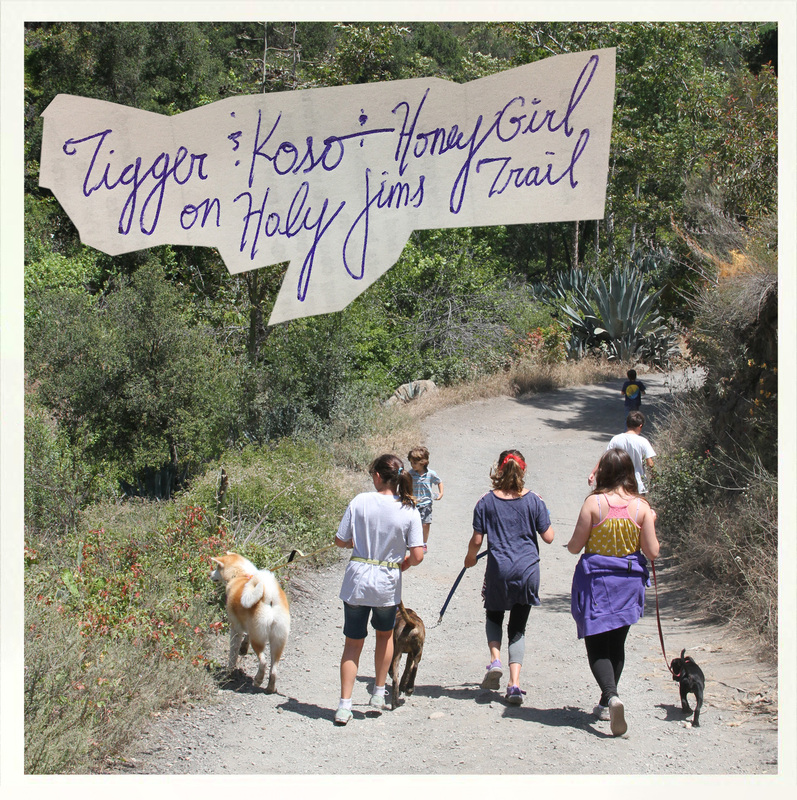 This trail is one of our favorites; it runs from the Trabuco Canyon foothills along the edge of Santa Margarita, the entire length of Coto de Caza, then runs along ridge caps and rolling hills for miles until it ends at Caspers Park on Ortega Highway. Wow. What a trail! Hey – head’s up though – hardly any tree cover so, you know the drill – bring hats and sunscreen. The Bell Ridge Trail is the northern tail end of the Bell View Trail that runs for miles (see above). The Bell Ridge climbs rapidly and is not for the faint of heart, but the payout is truly amazing. The views are some of the biggest, broadest panoramic I can think of in the county. You can take in San Clemente to the south and Long Beach to the north, Catalina Island in the distance and everything in between. You can tell this is one of my favorites, and I hesitate to even list it here, but what’s a good friend for? Hooking you up with good trail intel, that’s what. Starts right behind Santa Margarita Catholic HS and runs until it connects with the Westridge Trail along the way and then ducks under the 73 toll road and follows Tijeras Creek & the 73 for miles. 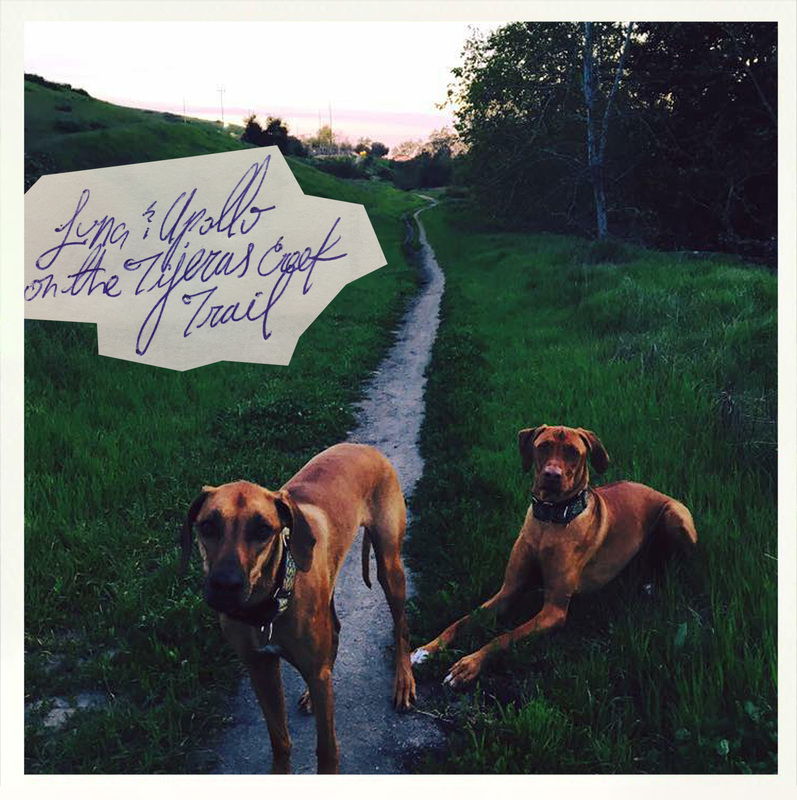 It reemerges at Antonio Parkway and then continues on to Oso Parkway and connects with the super lovely Arroyo Trabuco canyon trail, but that leg is not dog-friendly. Grrr! O’Neill Regional is a great place to camp, hike, jog and walk but they limit dog access to only the camping areas and Mesa trail. The good news is, Mesa trail is an easily-accessible, dreamy, tree-covered path with great views of the surrounding mountains. There are even bathrooms along the way. Technically, O’Neill is in Trabuco Canyon, but the usual way to get to the Mesa trailhead is by parking behind the RSM lake near one of the park entrances along El Camino Montana. The next three hikes are accessible from Rancho Santa Margarita by way of Plano Trabuco and then to Trabuco Creek Road (a dirt road). Falls Canyon is great in the winter and spring when there is water flowing. Pretty good tree cover along the way, too. A local classic, this trail follows a seasonal creek up a narrow canyon to a small waterfall. Lots of poison oak along the trail, so keep that dog on the leash lest she come home covered in it. Good tree cover along the trail. I prefer hiking this in the winter and spring and anytime after a rain. West Horse Thief is past the Holy Jim’s trailhead; the dirt road can be difficult to traverse, so plan on getting there with an SUV if possible. This trail is good single-track with a nice amount of tree cover. Steady elevation gain with a seasonal creek. Near Orange Park Acres, this park is accessed through a narrow road that winds through a bit of neighborhood and then ends at the main trailhead near a historic orange grove and sprawling oaks. Crisscrossed with numerous trails, this is a great place to spend 30 minutes or 3 hours on the trail. 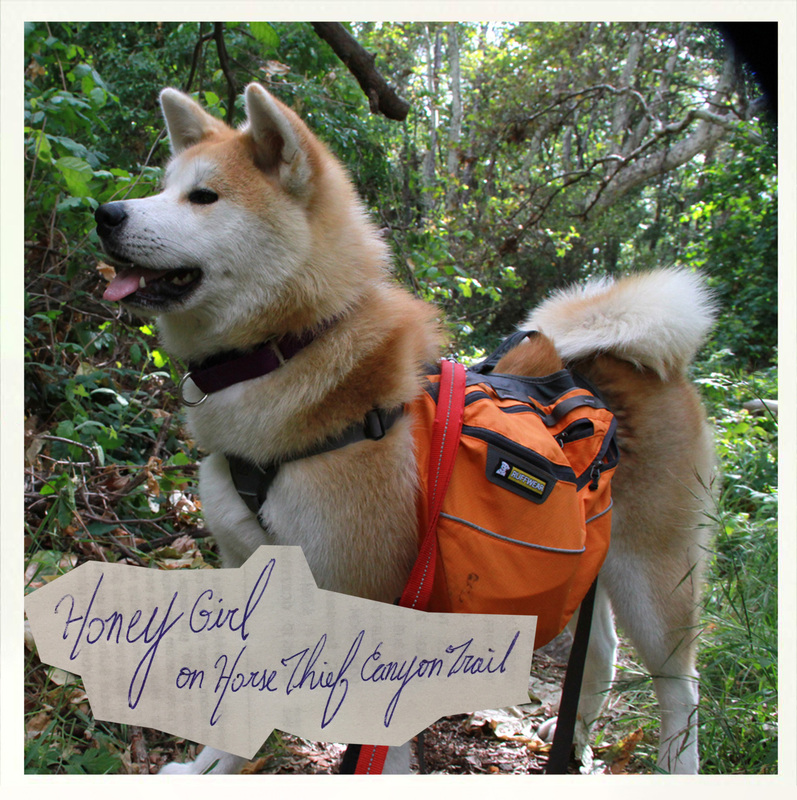 This trail runs for almost 2 ½ miles along the coast and dogs are welcome on the dirt path! Hooray! You can pick up the trail at a number of locations, but formally it starts at North Beach and ends at Calafia. Wide open vistas off of a trail through sagebrush, mustard and grass. Parking is not easy, but can be done off of La Novia Parkway and Via Cerro Rebal. Easy going at the bottom and then the trail starts to gain elevation quickly, though it is not a long hike. Perfect for an hour-long jaunt in the evening to catch a sunset and some amazing ocean breezes. The Trabuco Creek Trail (TCT) runs along Trabuco Creek for miles though it does start and stop in a few places… A nice place to start is at the Northwest Open Space parking lot off of Camino Capistrano, which is conveniently located next to the Dr. Joe Cortese Dog Park in case you want some hand’s off dogcercise. The TCT converges with the Oso-Rancho Capistrano trail which puts you near the Los Rios District where you can hop back on the TCT in its paved incarnation. This ridgetop trail runs from Camino Las Ramblas to San Juan Hills High School; great views and great exercise. San Juan Capistrano has a wealth of trails, mostly short runs between neighborhoods, but they are numerous and will absolutely scratch that “let’s get outside” itch. Here is a link to a map of San Juan Capistrano trails. There are a number of places to park to access the numerous trailheads that surround the 50 acre lake at the center of Peters Canyon. Not a lot of tree cover, but there is some, so be sure to bring a hat and sunscreen. The trail runs from Jamboree near Fletcher Jones, back along Bayview Way, then along Irvine Avenue until Santiago Drive. Unless it is a lovely shade of grey out, plan on hats and sunscreen as there is hardly any tree cover. Great views of the Back Bay and – yes – sunsets reflecting off of the buildings at Fashion Island in the evening. OK – that’s it for now. But – hey – wait – there are scads of OC parks that have killer dirt trails that aren’t listed on here! What about Aliso Woods? 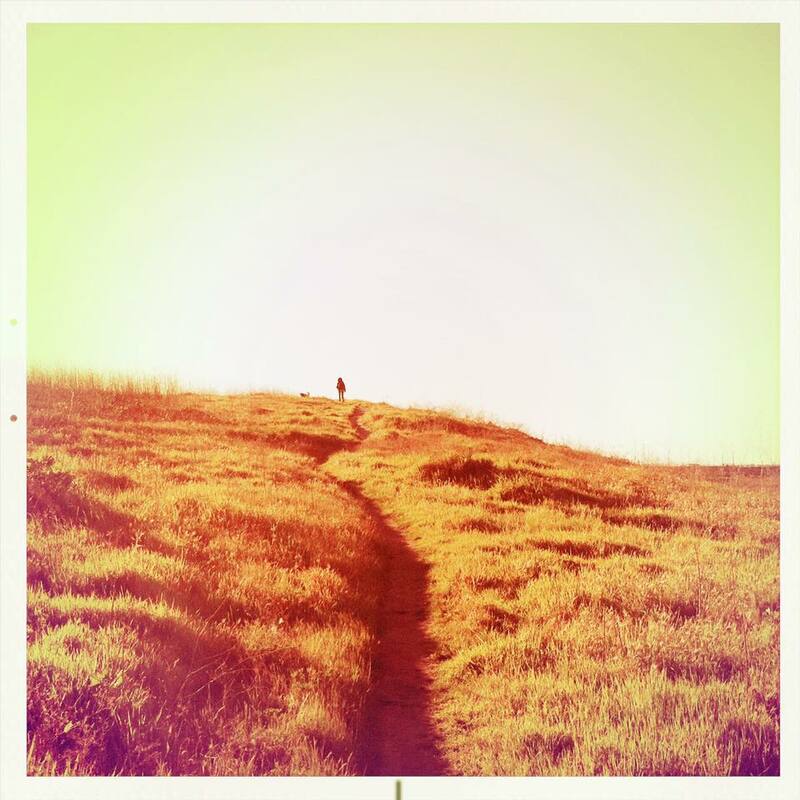 Or Laguna Canyon? Or Top of the World? Or Caspers? 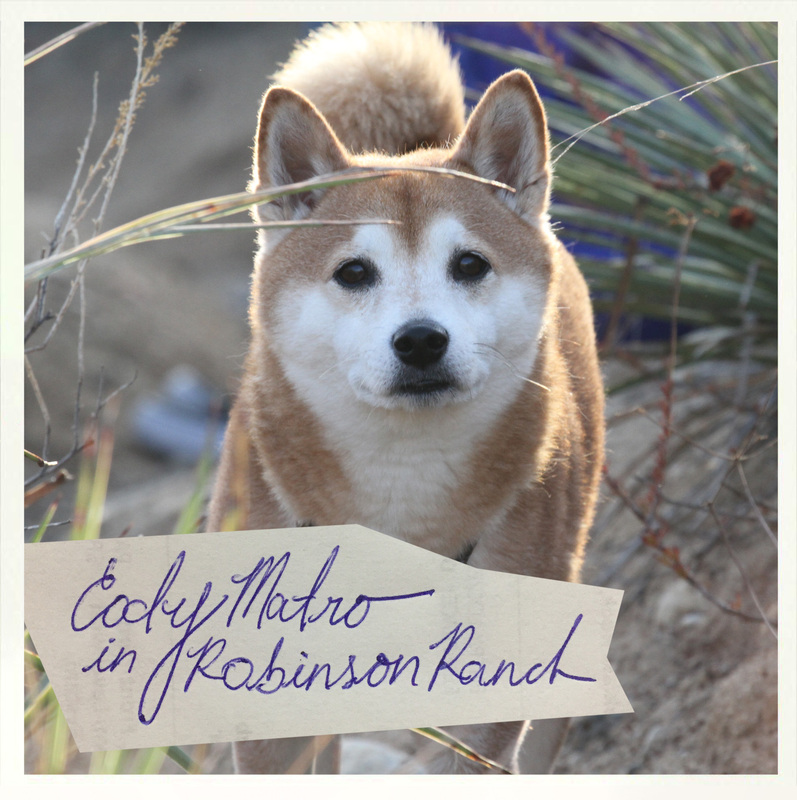 Whiting Ranch? Helllloooo!?! I know. I know. All those epic trails! But, sadly, canis bestfriendus is verboten in those places. Here’s the gig – as the park brochure party line goes “When marking their territory, dogs signal the native animals that there’s a predator in the area, which affects feeding and even breeding patterns.” Which means less wildlife and less wildlife means less goodness overall, so, we’ll abide like good citizens and dogizens. No worries; there’s plenty of good trails to go around. We’ll make do! I wasn’t diligent about adding directions to each hike, but I did make a map; hopefully this’ll help get ya there! I would love to add your trail idea here, so feel free to leave comments below. Thanks for stopping by. Good post! We love the Bell View trail and Westridge, too. I didn’t see any of the Ladera Ranch trails on there – there are some good ones that run through and around the neighborhood but I don’t know their names. Thanks again for the post! Its always good to have new trails to try out. Thanks for the comment, Jenny! Ladera – I don’t know why I don’t have any on there – I can picture the nice dirt trail that runs down the middle of the neighborhood (parallels Sienna?). I’ll look it up on a map and see what’s what. Thanks again for stopping by. I hope you get out on some of those trails! Ladera Trails are on the map now! Woot! Thanks again for the suggestion, Jenny K.